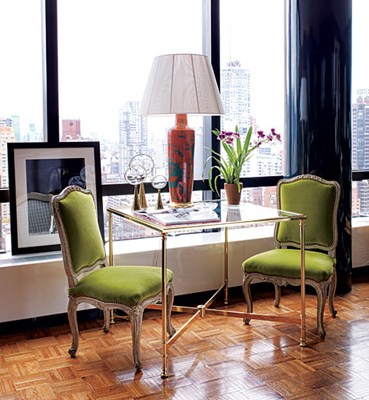 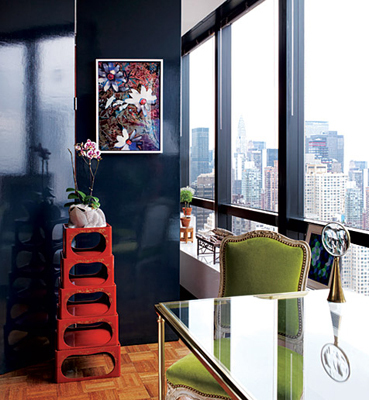 I’ve been a fan of TODD ROMANO’S work for sometime, so when you asked me to show more design ideas for smaller spaces, I immediately thought of his New York City apartment. 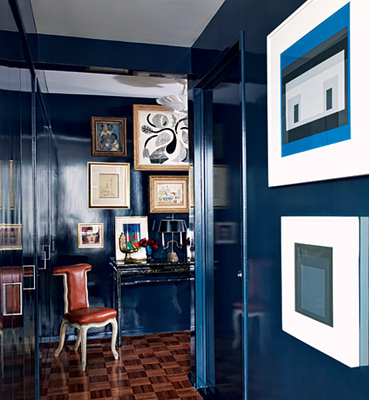 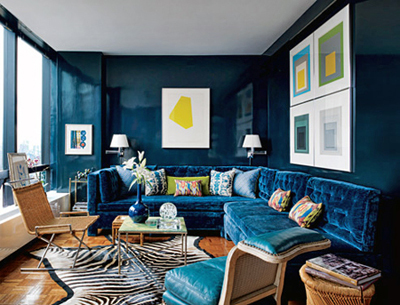 As you can see, Todd maximized the drama and painted his high-rise studio a deep blue with pops of artistic color courtesy of Warhol, Hockney, Giacometti and Albers. 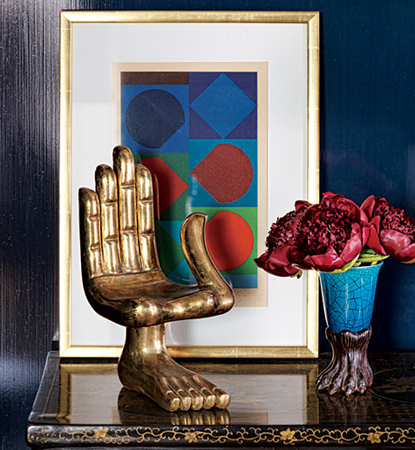 Todd believes that good design is about editing and that you can live very well in just one room and his home is a great example of good design + living well.